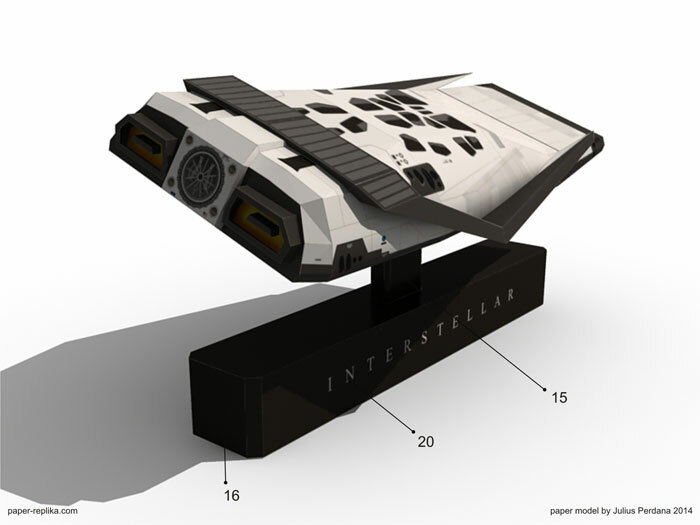 Interstellar Ranger Spacecraft Paper Model	. Actually this scale model was not in my plans. I stumbled upon its picture when I browse for Philae lander spacecraft pictures. I think this would be a good model if I make a paper model template. 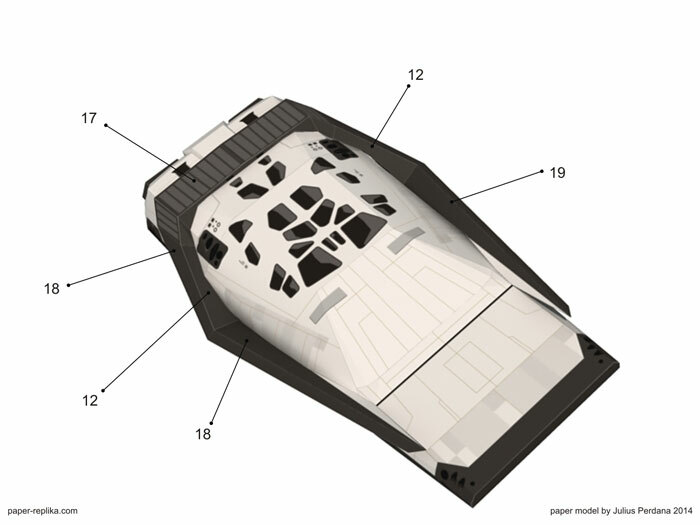 According to the data that I read in a website, this ranger spacecraft is 54 meters long. I made a model with 27 cm long, so the scale is about 1: 200. 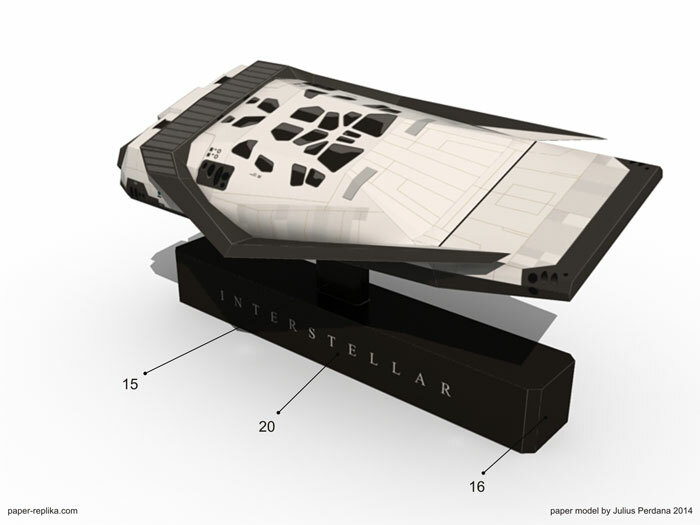 This spacecraft is appear on the latest science fiction movie Interstellar. It can accommodate 4 crews plus 1 robot. 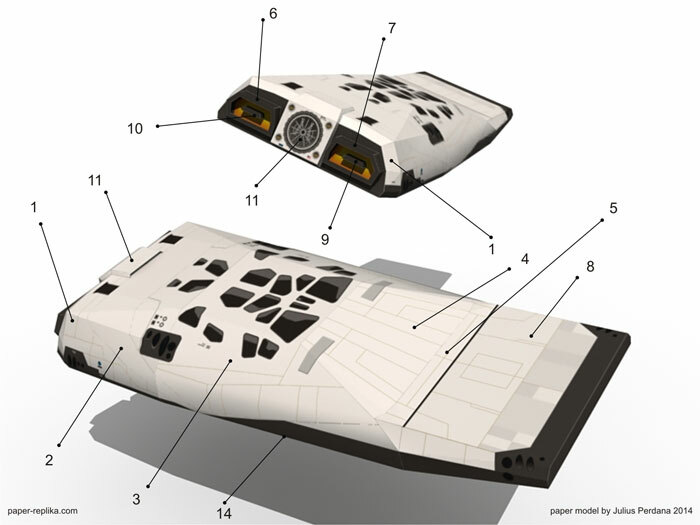 The director of the movie, Christopher Nolan demanded the use of 3d printed miniature models of this ship rather than CG model in his movie. 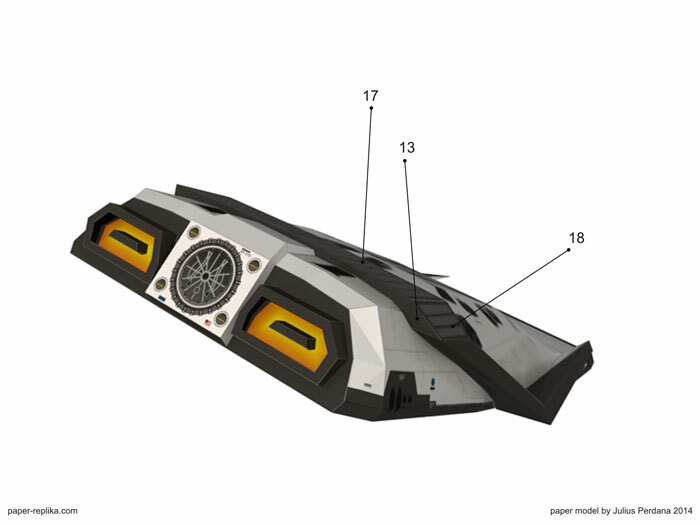 He also use real scene and environment and 1:1 spacecraft model. This movie was praised among scientists and science fiction fans around the world.